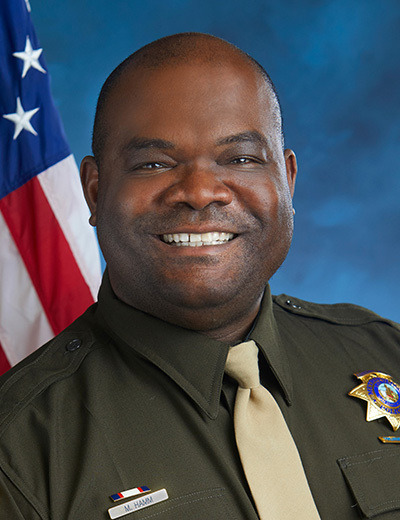 I have spent a great portion of my life (10 years Air Force/17 years LVMPD) in the service of my community and my country. As public servants, we are not doing this to get rich; we are not professional athletes or even owners of giant corporations. But the men and women who choose to serve in one capacity or another are a rare breed. What other career can be held up to public scrutiny like this one? I have heard it so many times from so many people: “Cops make too much money,” or, my favorite, “Anyone can do that job.” I once sat in a local restaurant and listened to a waiter brag about how cops are overpaid and you only need a high school diploma to do their job. He went on to say that those officers at the jail who killed that guy were out of line and he could have handled one guy without killing him. I wanted to respond to his tirade, but I realized he was merely bragging in front of a table full of young ladies, and when he got their order completely wrong I was not impressed with his skill as a waiter. So I figured that if he couldn’t perform his job well, I don’t think he could do mine either. Thinking about it now, I don’t mind some guy thinking he is capable of doing what I do for a living. I can take the lack of respect from certain people in the general public. After all, I have worn some type of uniform for the past 27 years of my life, and that fact gives him the right to have an opinion about what I do. The problem I have is not with the general public, but with certain individuals from within our profession. I was told recently that it is not the duty of a supervisor to de-escalate a hostile situation between a supervisor and a subordinate. In short, I was informed that yelling at a subordinate is a management style and a right of a supervisor. I have been a subordinate in some form or another for many years, and I have never had a supervisor outside of an academy or basic training setting yell and berate me because they thought they had the right to do so. I have never shown any level of disrespect to a supervisor, and the reason is that I have never been subjected to a level of disrespect by my supervisors. I was taught a long time ago that respect is a two-way street, and if anyone thinks that the way to gain respect is through fear and intimidation, they are not much of a leader. True leaders concern themselves with the well-being of their employees — after all, if the people performing the job are not happy, it is incumbent on the leader to find out why. An officer recently received some news that was upsetting and became very emotional. I did not feel it was safe or prudent for this officer to work a 12-hour shift in such an emotional state. I contacted the supervisor and explained the situation, and to my surprise he responded with “Well, are you going to supply me with an officer to cover the overtime?” No concern, no compassion and no question as to the situation involved. I was even more surprised when I spoke with the officer the next day and was informed that the same supervisor never asked the officer about their well-being. At the end of the day, it all goes back to respect. Officers are expected to show a certain level of respect to everyone, including the suspects they deal with every day. Officers are attacked verbally, mentally and physically on a daily basis, but are still expected to maintain a certain level of professionalism and courtesy. It would be nice if the same respect was given by certain members in charge of seeing that officers are supplied with a clean and safe working environment. 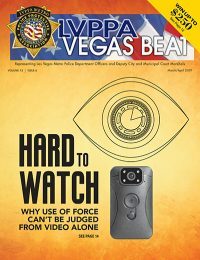 Vegas Beat delivers association news, career benefit changes, human interest stories, and other industry-related information to all the members of the LVPPA.